My challenge? 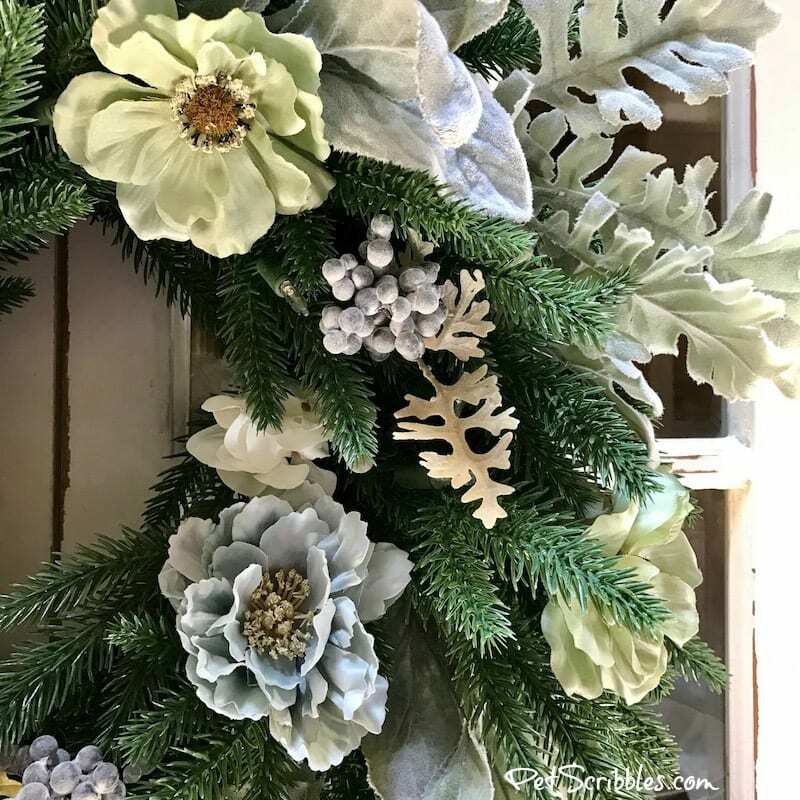 How to make a beautiful Summer wreath from a Christmas wreath. Challenge accepted! 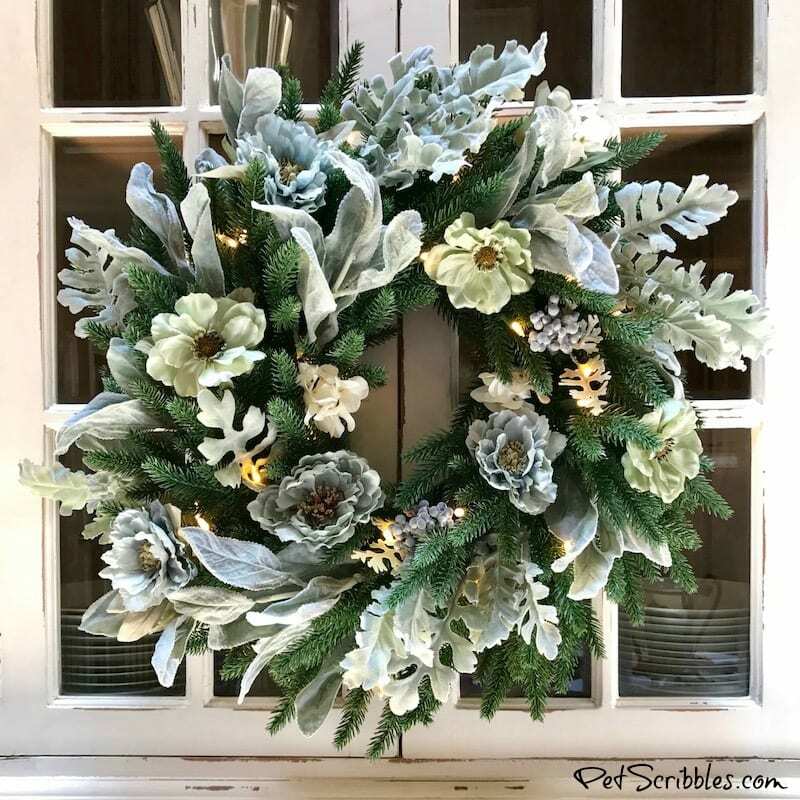 What a great way to use your faux evergreen wreaths year-round! 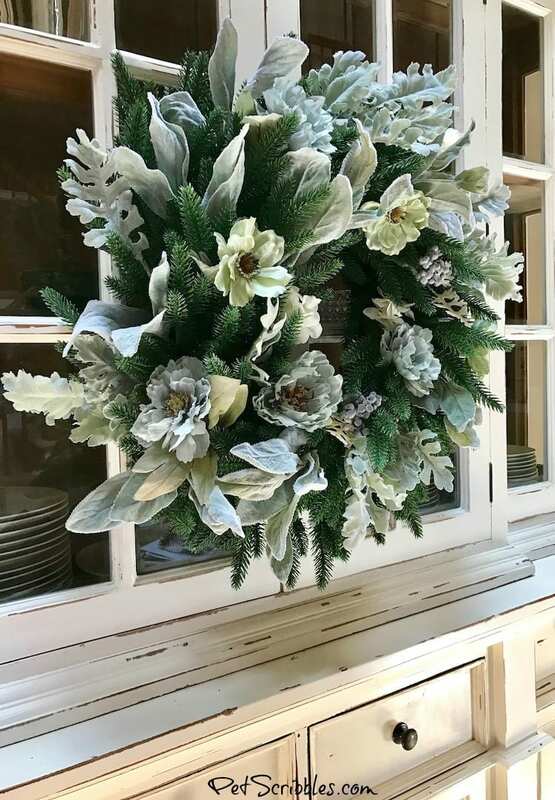 I’ve worked with Tree Classics before, and absolutely love the high-quality of their wreaths and garlands. 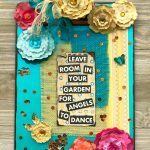 So when they asked me to participate in this week’s Blog Hop, I jumped at the opportunity! 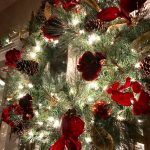 Design a traditional Christmas wreath for another season. 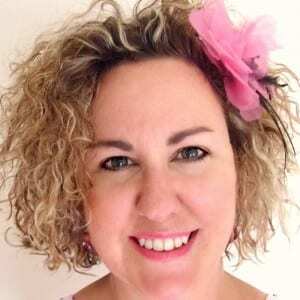 I chose Summertime because…it’s Summer! 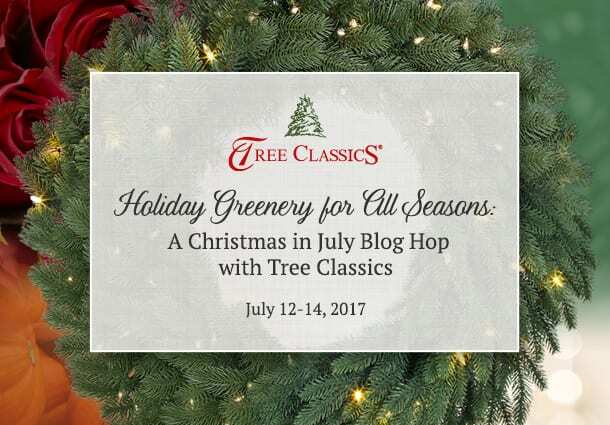 FTC Disclaimer: Very special thanks to Tree Classics for sponsoring this post! Please note that my posts and product reviews are 100% honest. I wouldn’t share anything with you here on Pet Scribbles that I don’t already use myself, or have personally tried myself. 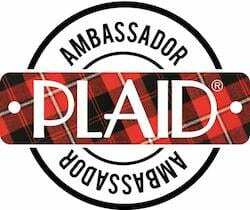 I have to love it to share it, and potential sponsors know this at the start of our agreement! Just so you know too! 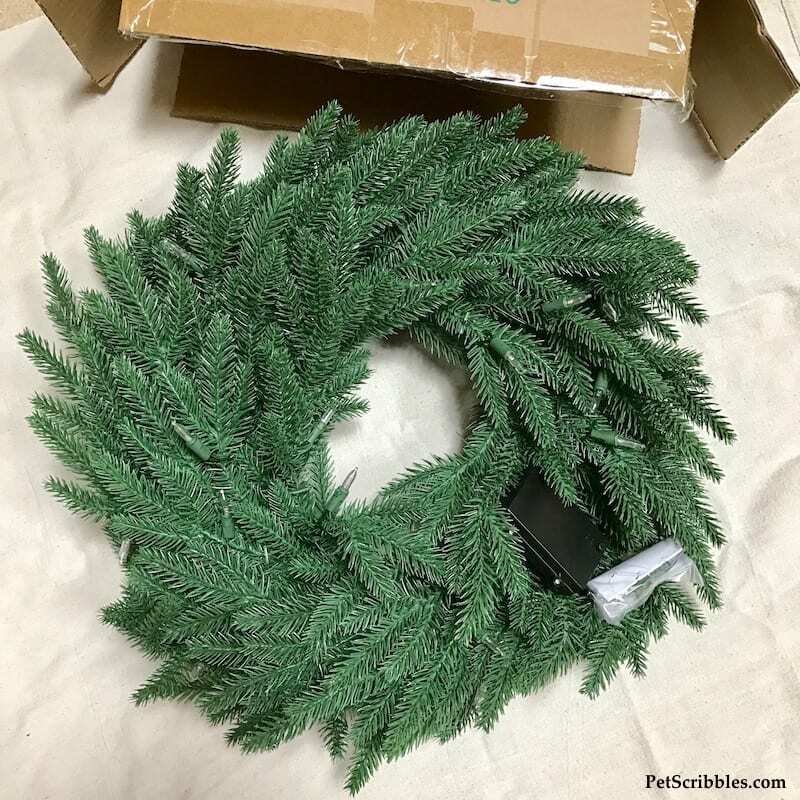 Right out of the box — literally — the Lake Forest Fir Wreath is almost perfect already…just needs a bit of fluffing up! The wreath is pre-strung with clear LED lights, which run on 3 AA batteries. Simply use a small screwdriver to loosen up the four screws holding the battery pack lid, add the batteries, and screw the lid back on. There’s a bit of cord attached to the battery pack which makes it easy to put it where you want it, and where it won’t be visible. 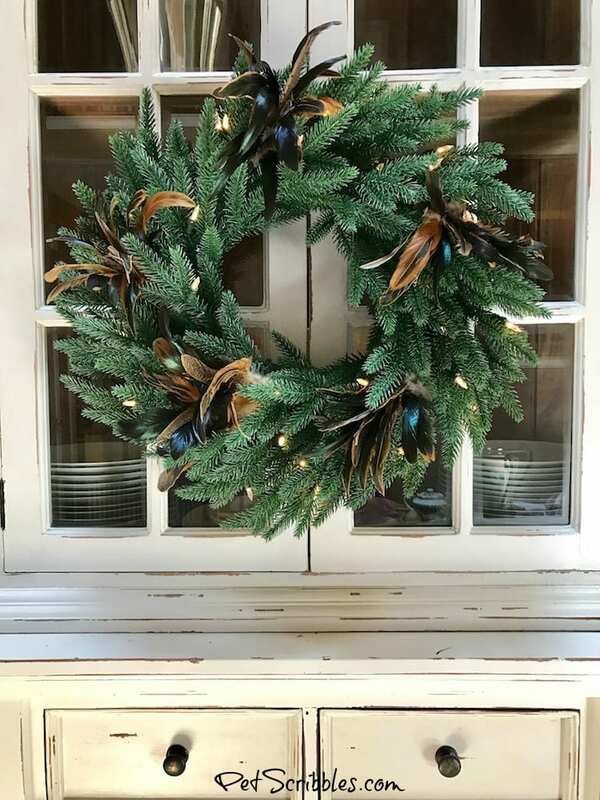 The Lake Forest Fir Wreath is safe for indoor use and for use in covered outdoor locations. 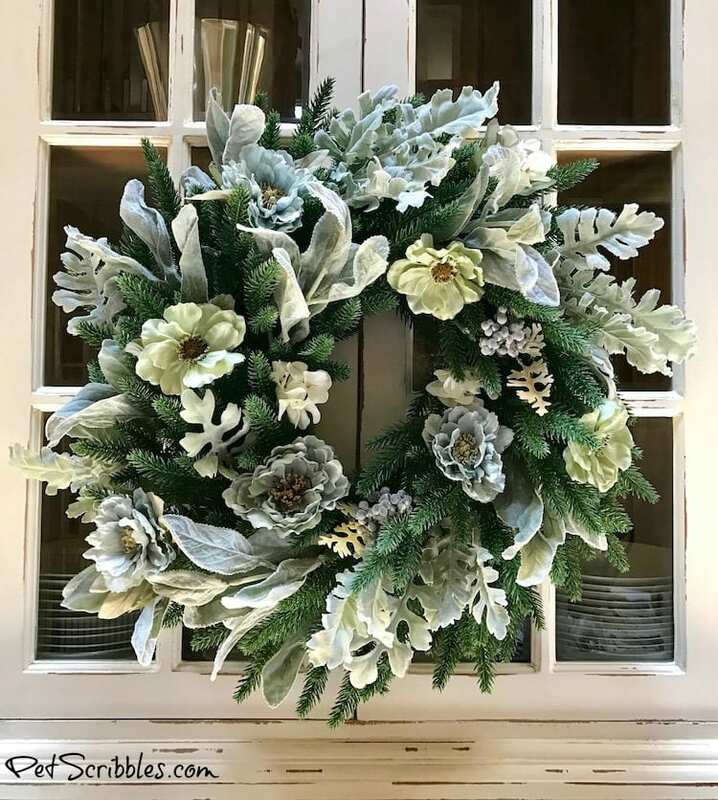 These wreaths are put together so well, and are so durable, that I know I’ll enjoy these for years and years to come! 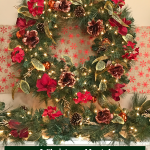 This Tree Classics wreath has such a realistic look to it. Here it is all fluffed up! 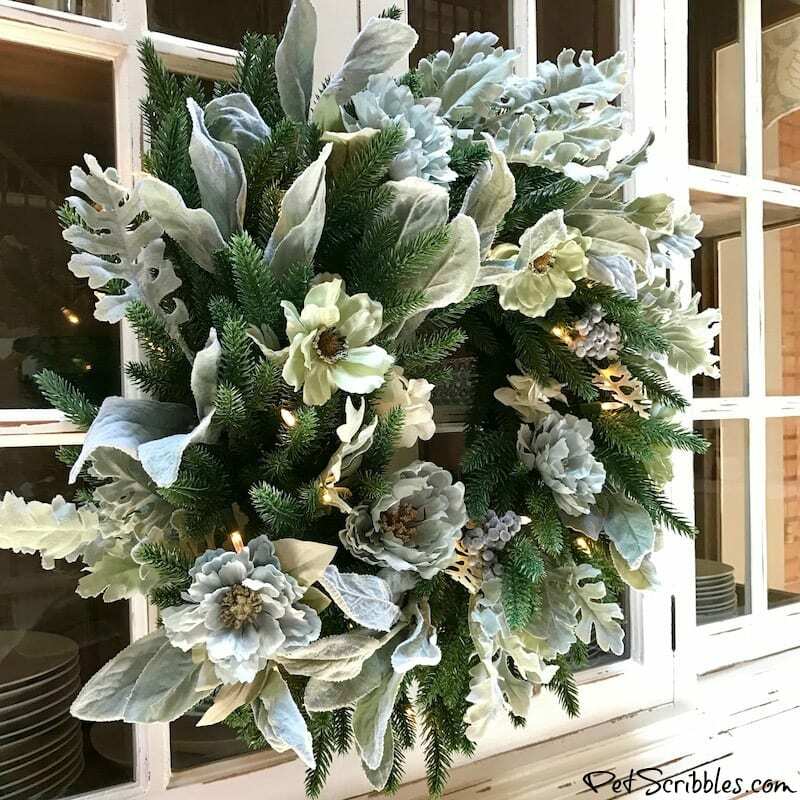 I love the look of fresh evergreens in the Winter, and these wreaths really do look like fresh evergreens! But don’t forget: our Summer gardens have evergreens in them too! So decorating with evergreens for Summer makes sense to me. Decorating a wreath for the Summer months should be a no-stress project. In other words: don’t stress, just make something pretty! 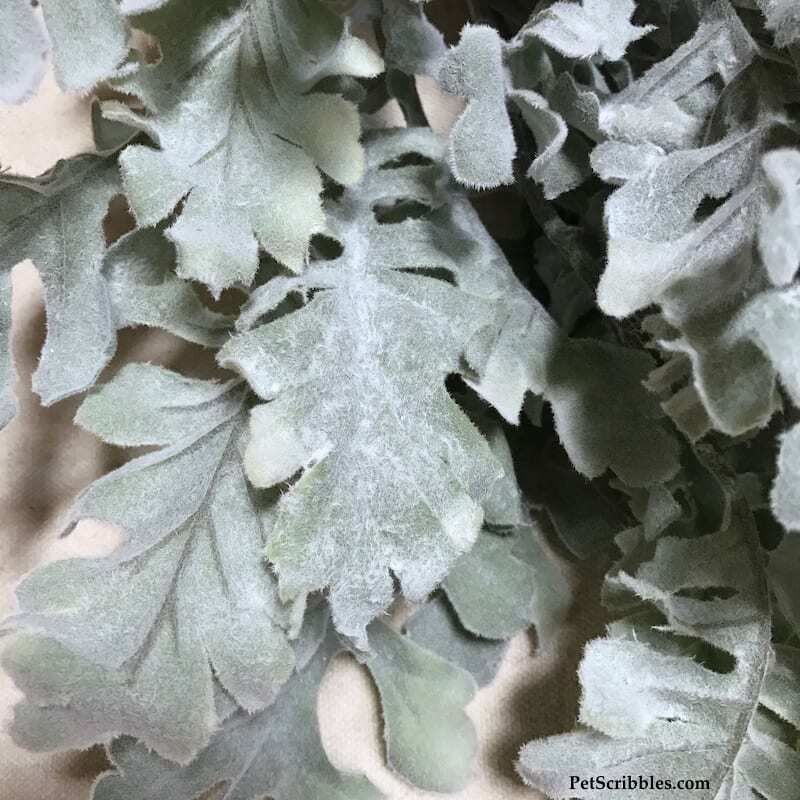 I’m an avid gardener, so when I spotted these artificial Dusty Miller and Lamb’s Ear bunches in Michael’s I might have gasped out loud. What a perfect addition to the realistic-looking evergreen wreath: realistic-looking Summer garden plants! 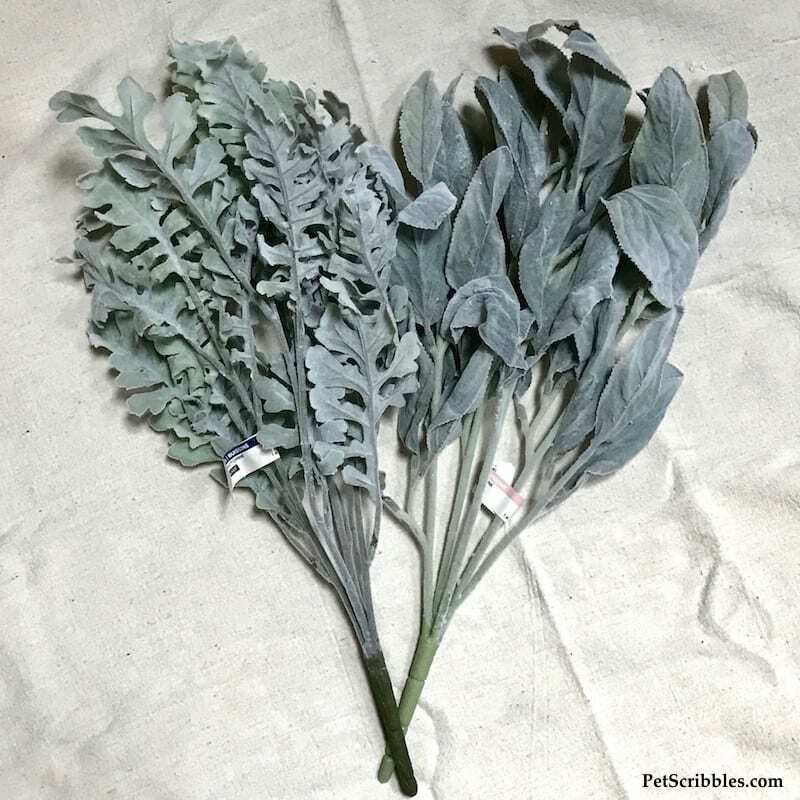 Even if you just stick with greenery, there are so many variations to choose from. 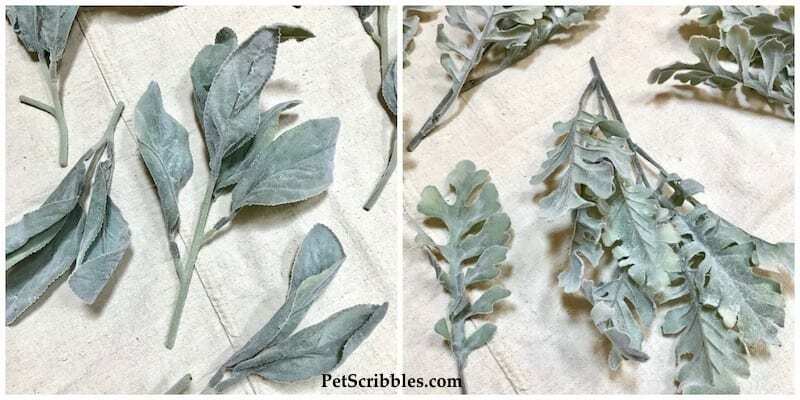 The muted blue-gray of these faux plants will look so pretty among the evergreen color in the wreath. 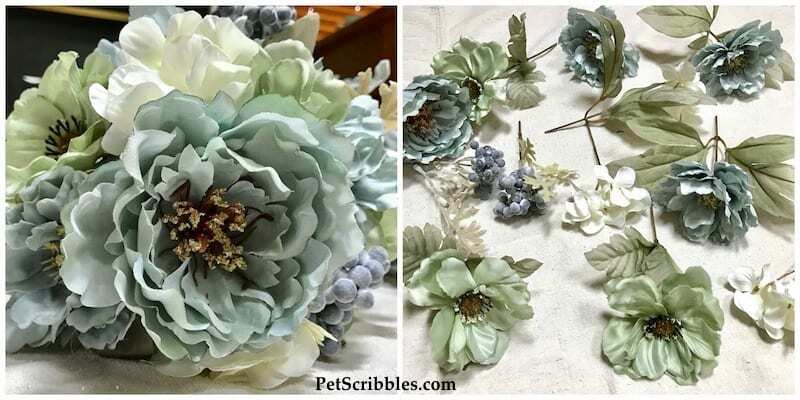 I used pliers to cut the bunches into various stems to stick into the wreath. I also purchased an artificial floral bouquet from Michael’s and used pliers to cut it apart as well. I save everything. 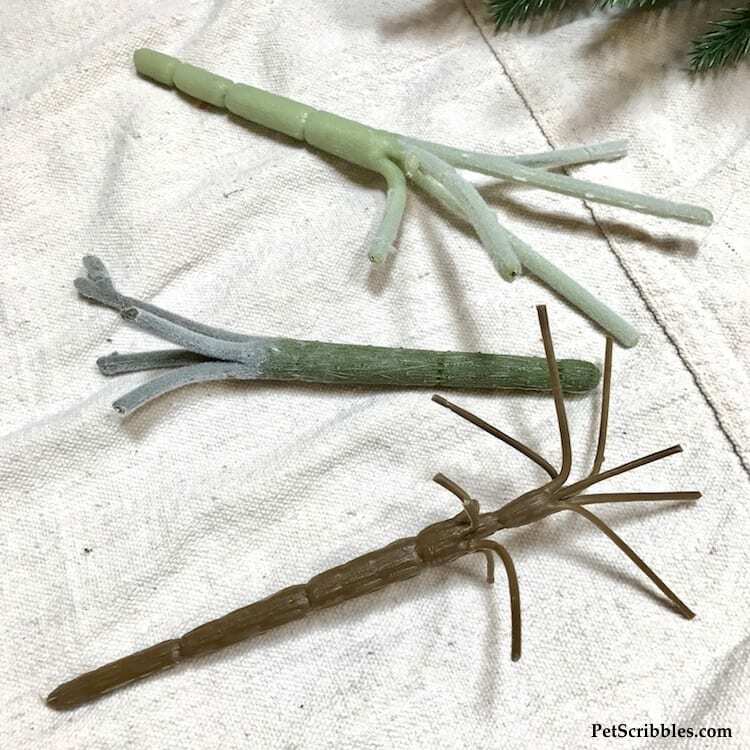 And these leftover ugly stems will be put to good use at some point, in some craft or DIY project! After sticking and arranging and moving and positioning, here is my Summer wreath! Doesn’t look like a Christmas wreath at all! 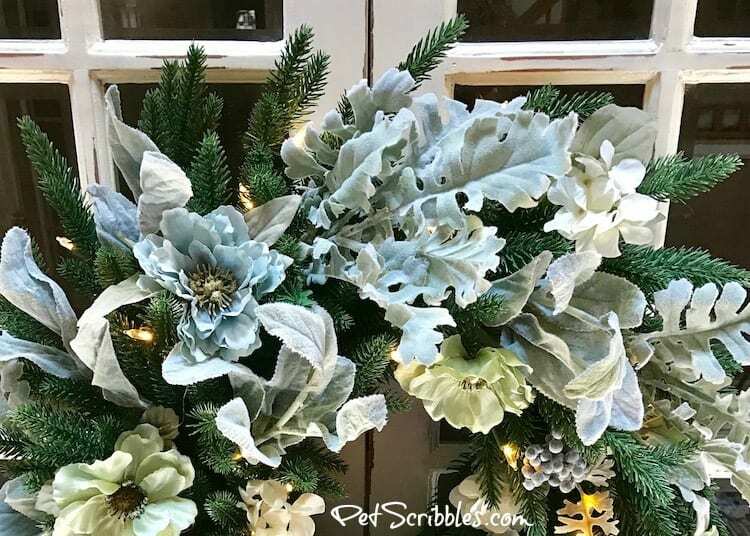 The faux flowers and greenery — well, the blue-gray-greenery — is so striking against the evergreen branches! Such a pretty effect, especially when dusk falls! Here’s a shot so you can better see the top of the wreath . . . 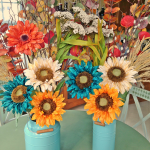 This Summer wreath was easy to put together, and easy to match with our decor! 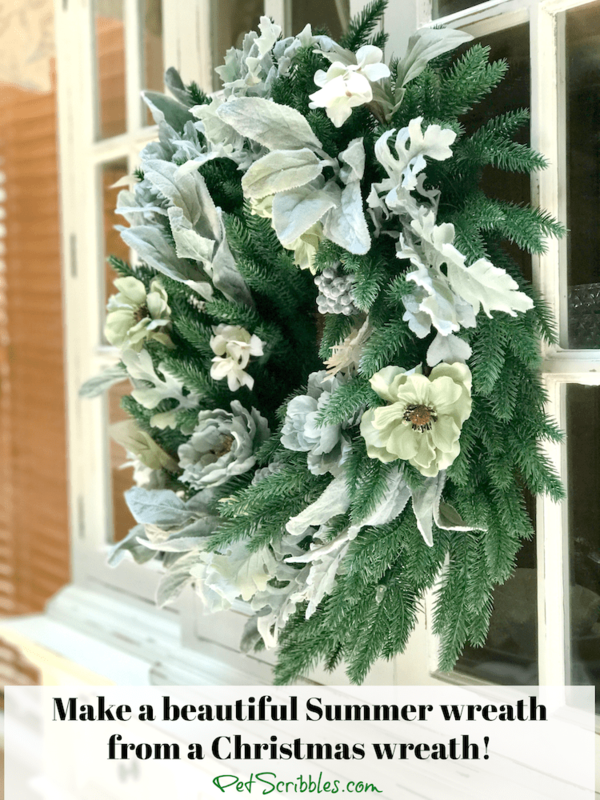 I decorated another wreath — and this one I purposely did in a super-easy way to show you that it takes little time to transform a Christmas wreath! 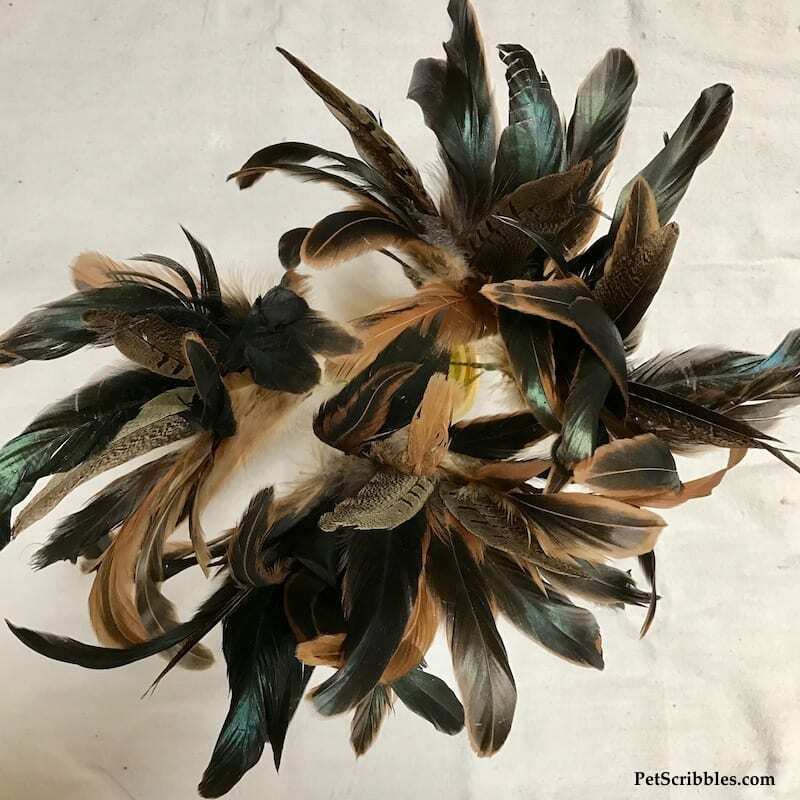 For this next Summer wreath, I purchased five feather picks. 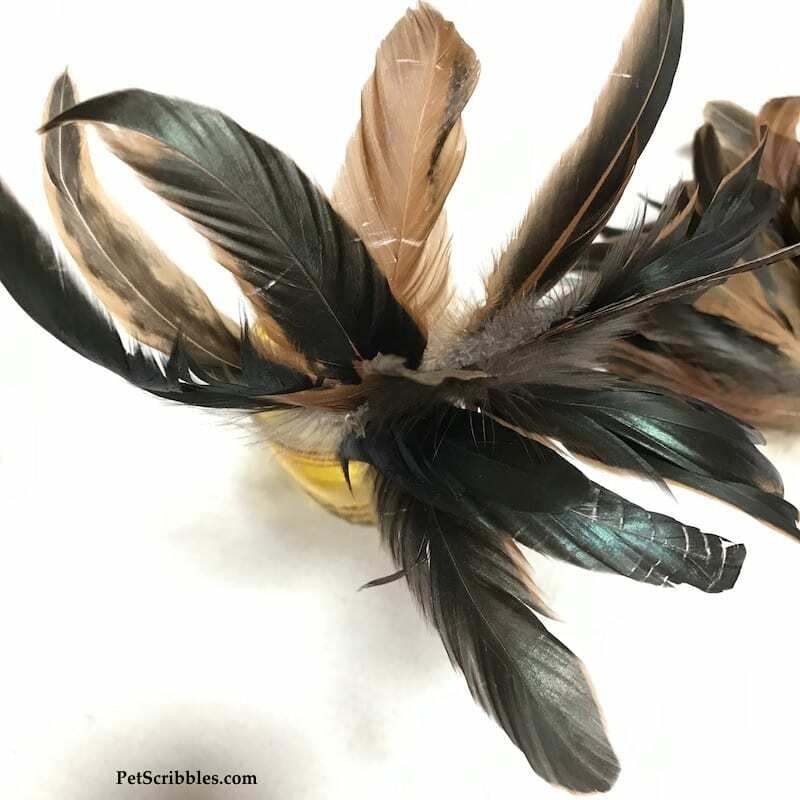 Each pick is an interesting mix of pheasant feathers, peacock feathers, and other bird feathers. Here’s a close-up so that you can see all of the different colors when the light hits them. I love the browns, as well as the dark teal shades. 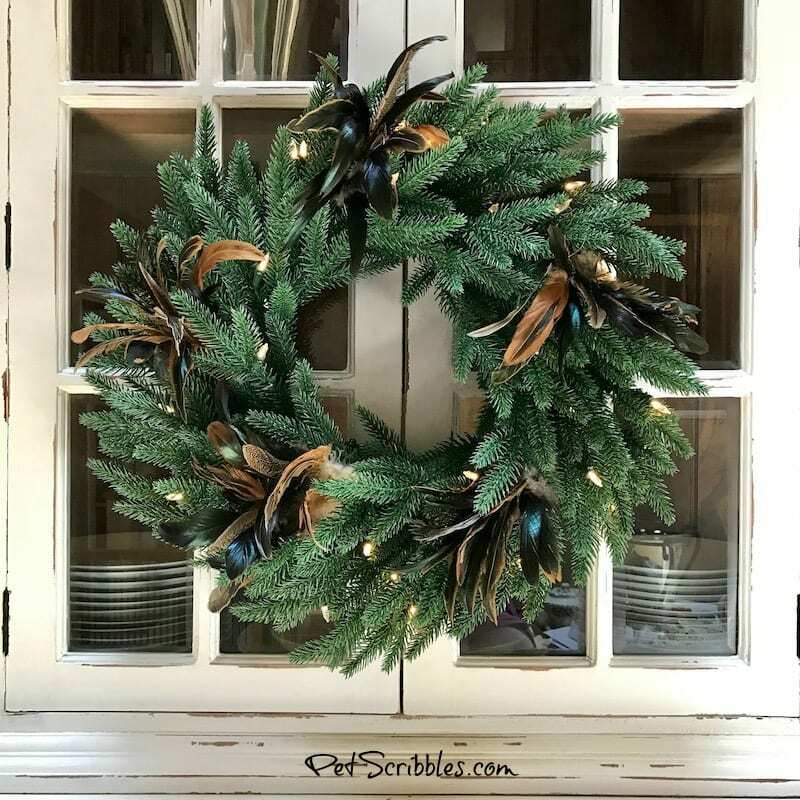 This wreath is even simpler to create, as I placed the feather picks in the wreath so they were evenly spaced apart. 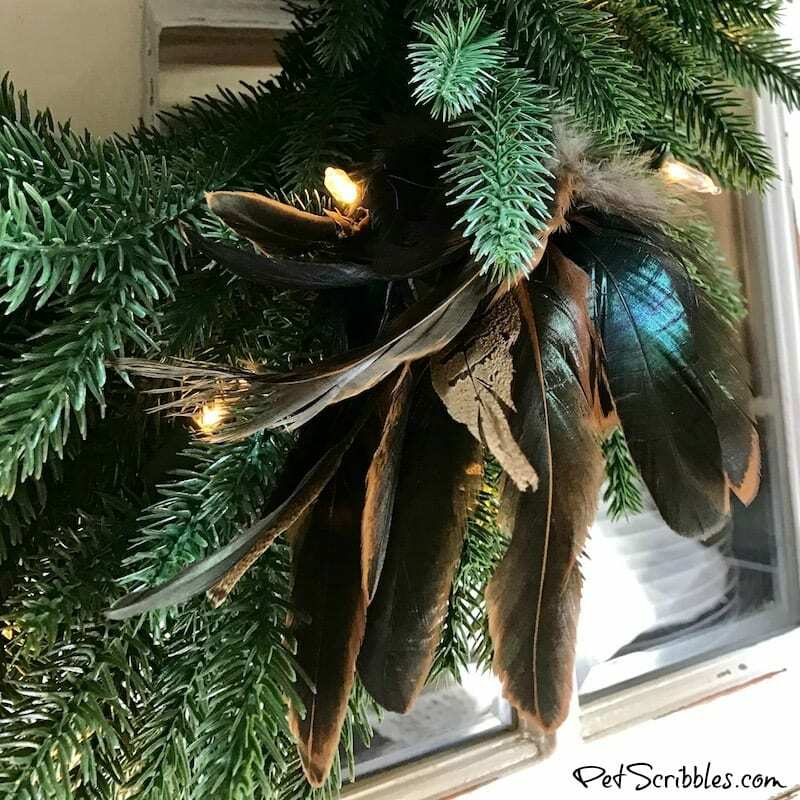 I love the fun mix of textures with the soft feathers among the evergreen needles! 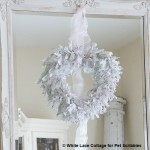 I plan on using this wreath in August and early September as an easy transition between the seasons! 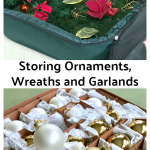 Storage Bags made just for wreaths! 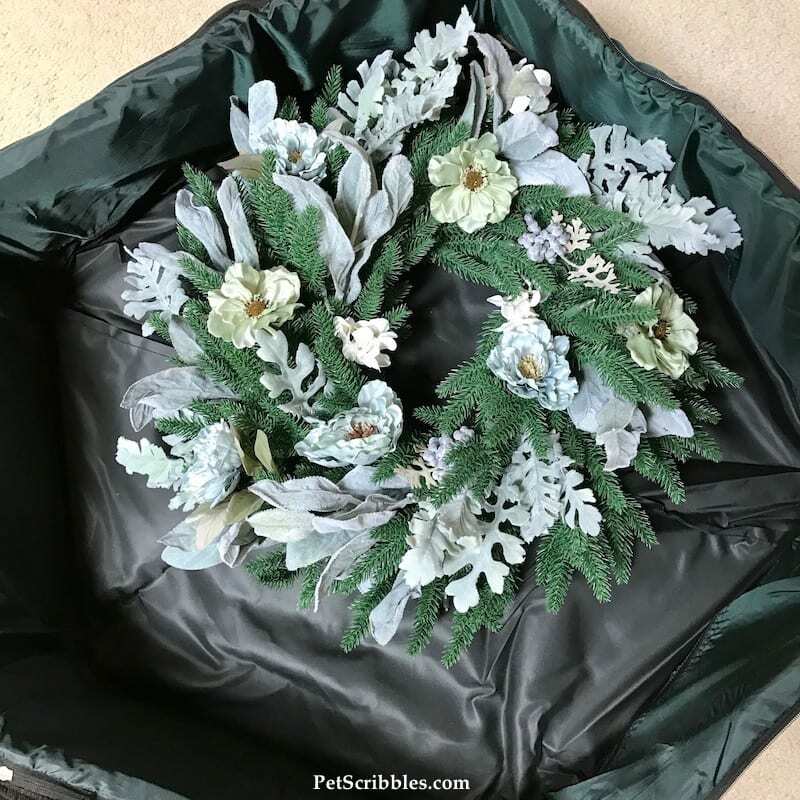 I love the Tree Classics Wreath Bags, which make storing your wreaths truly a no-brainer! 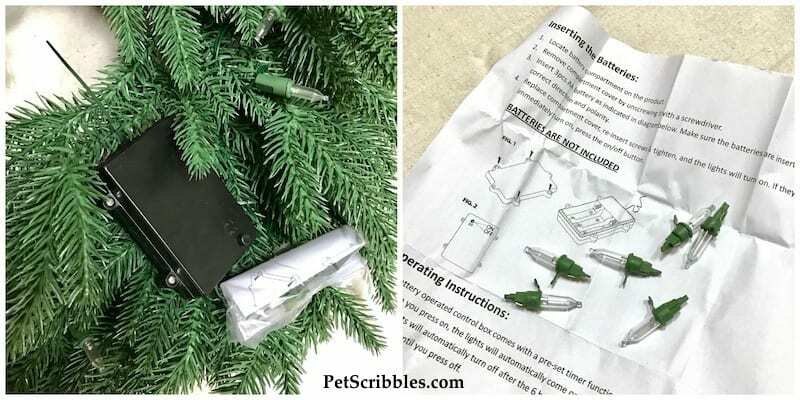 I wrote a detailed post about these wreath bags back in January, which you can click here to read. These bags are 36″ in diameter, nice and roomy! 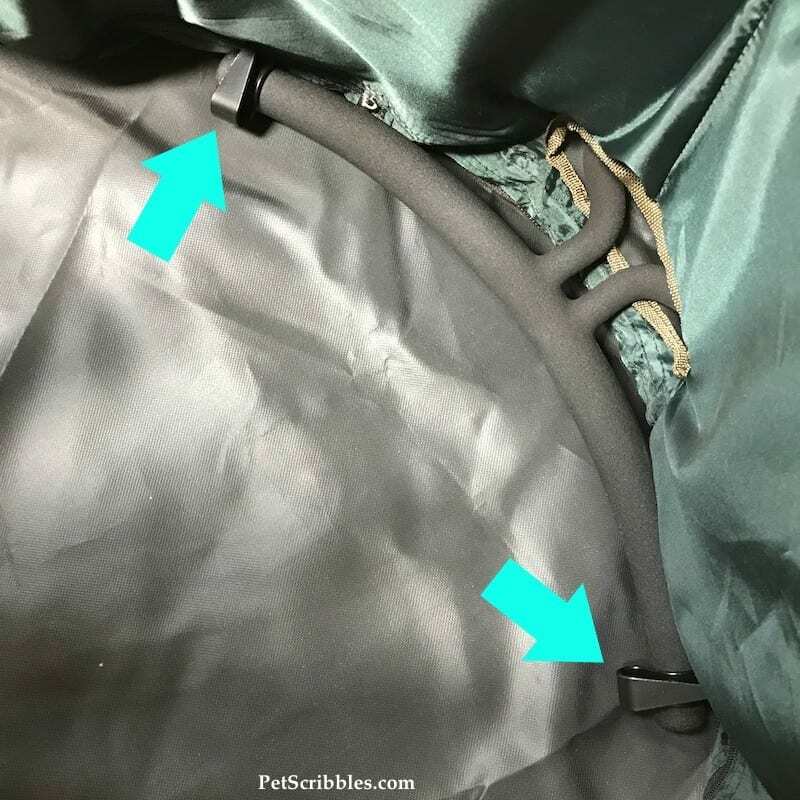 The best feature is the hanger, which has two heavy-duty hooks (see the arrows, below). These hooks can attach to the back of your wreath. Then just hang it up to store! And these bags are on sale right now too. Worth every penny, as you’ll use these sturdy, padded bags forever! 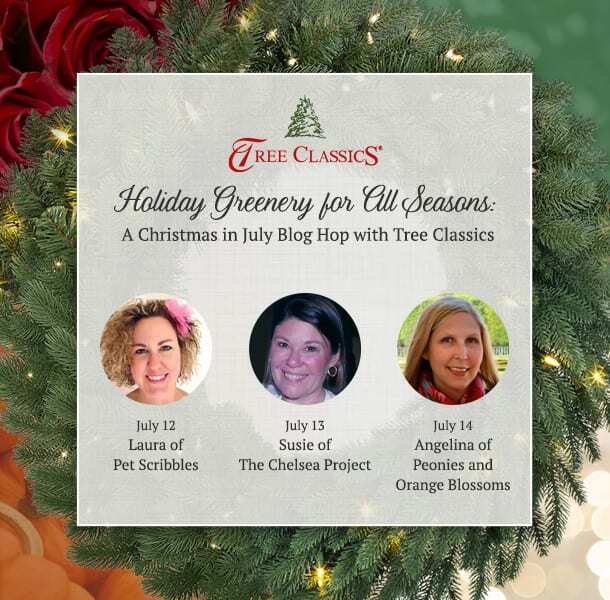 Tree Classics is having a fun giveaway through July 16th! Share your year-round wreath and garland decorating ideas by commenting on the Tree Classics Facebook page. Your wreath doesn’t have to be for Summer, like I created. It can be for any other holiday, celebration or season of the year! Make sure to use the hashtag #HolidayGreeneryforAllSeasons. So think outside the box — or rather outside the Christmas season — and create something fun! And you’d never know they started out as Christmas wreaths! 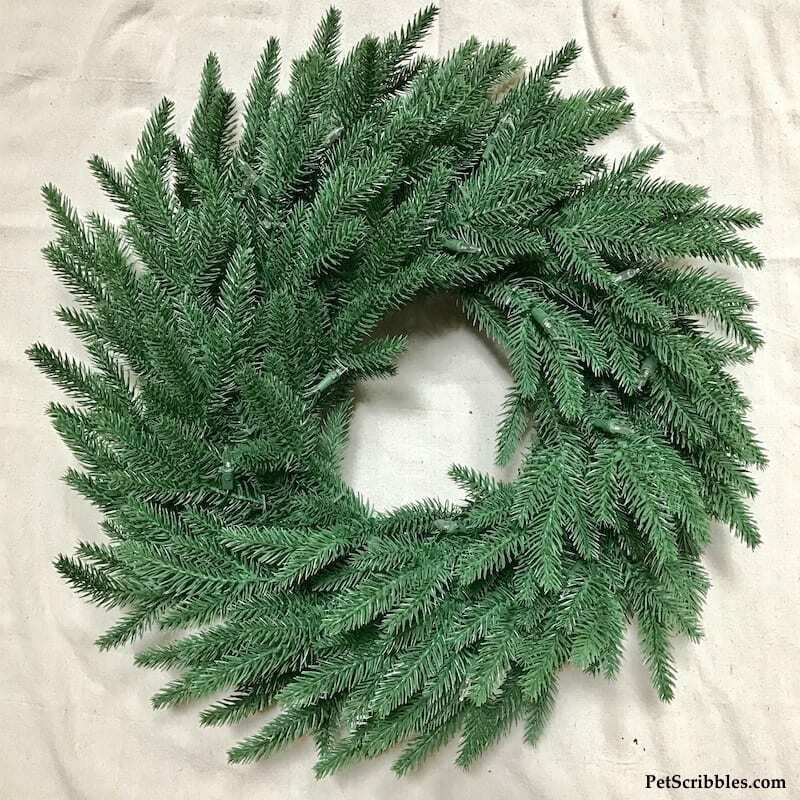 Click over to Tree Classics to see their full line of evergreen wreaths! 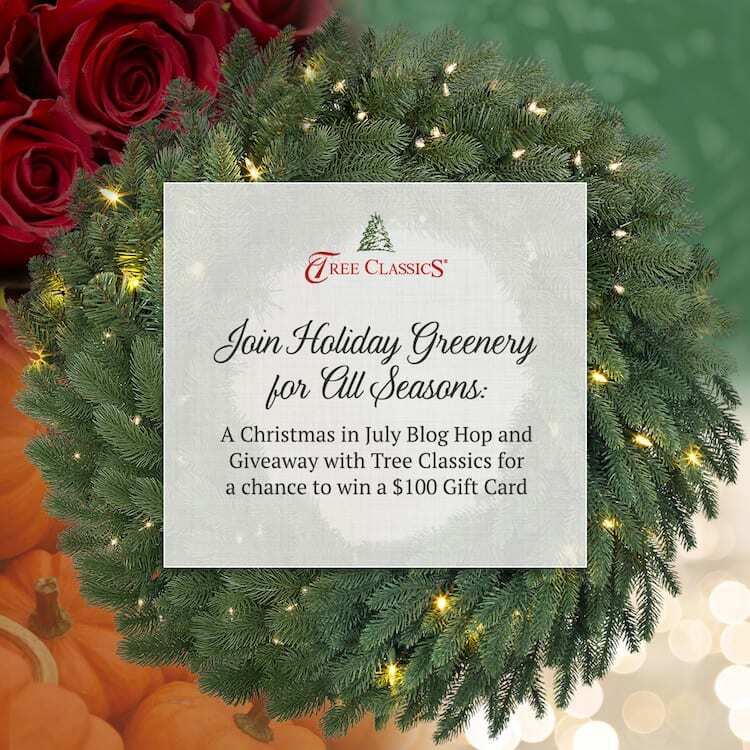 And visit the Tree Classics Blog for decorating inspiration year-round — including this week’s blog hop! Thanks SO much Angelina! Yes, I might end up keeping the feather wreath up longer than just mid-September! Can’t wait to see what you create this week! Awwww, thanks Susie! And I’m going to copy your garland-in-a-basket! So pretty! This is amazing! LOVE the wreath transformation! Your wreath turned out beautifully, Laura!